« How To Restore Desktop Icons? 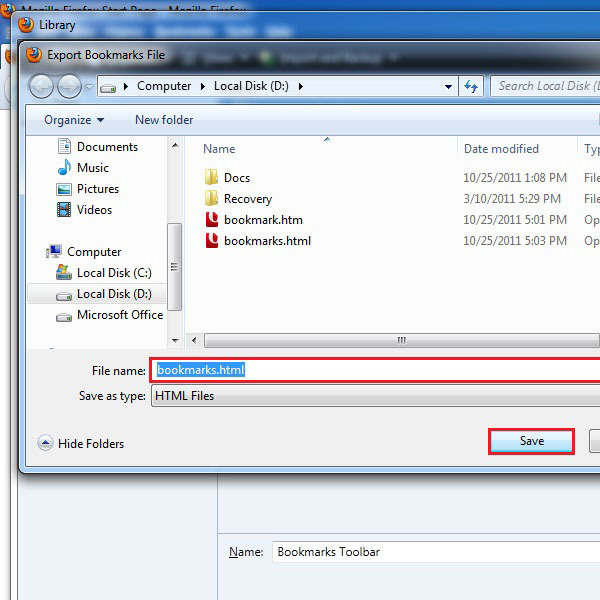 How To Save Your Bookmarks in IE, Firefox, Opera & Google Chrome? Nowadays there is a lot of competition amongst the internet browsers. Popular browser applications like that of Microsoft, Google, and Mozilla are rapidly enhancing their products with new features. All of them are almost equivalent in features and have certain features which separates them from all the other applications. With so many options readily made available to us, users have a number of choices and it’s really hard to select any one browser which is supposed to perform all the required tasks. Due to this reason, most people prefer to use different browsers at the same time to enhance their internet surfing experience. Sometimes a situation may arise when that bookmarks saved are saved only on one browser. Problem arises when one needs those bookmarks on other browsers as well. People usually consider this to be a complicated process. All the major browsers already have a built in program to organize bookmarks. They all have the same feature to save, export and import bookmarks from different locations. 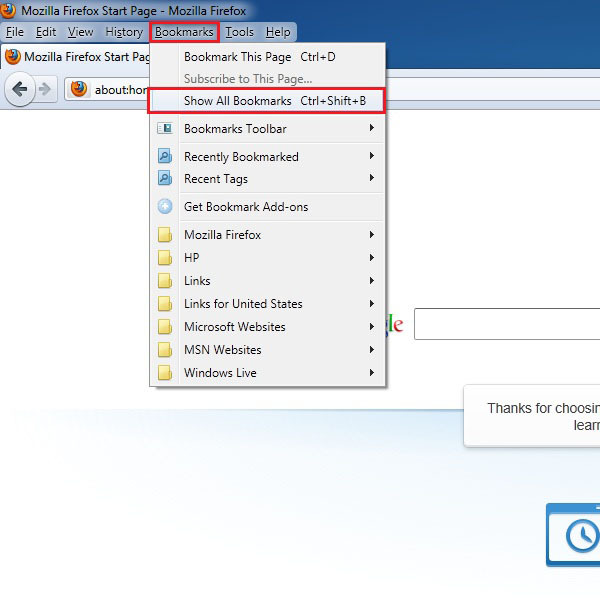 This tutorial guides you to a step by step procedure on how to save your bookmarks in various browsers on the windows platform. You can follow the steps mentioned below to create a backup and share bookmarks. Open up the Internet Explorer browser. Click on “File” on the menu located on the top left corner of the window. 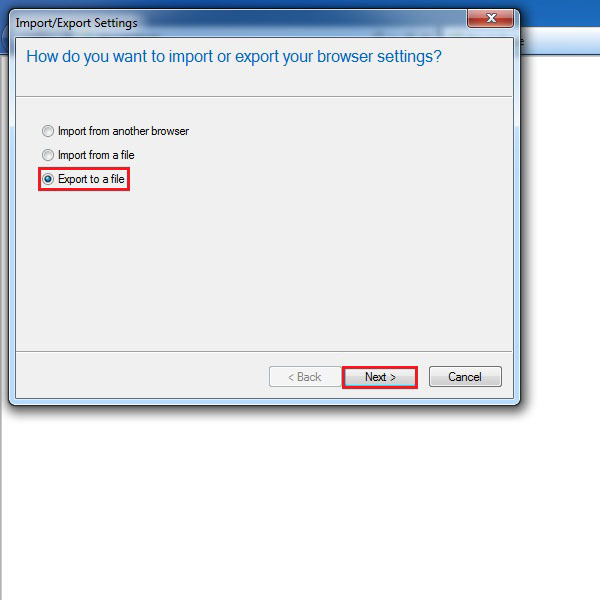 Select the “Import and Export” option from the menu. 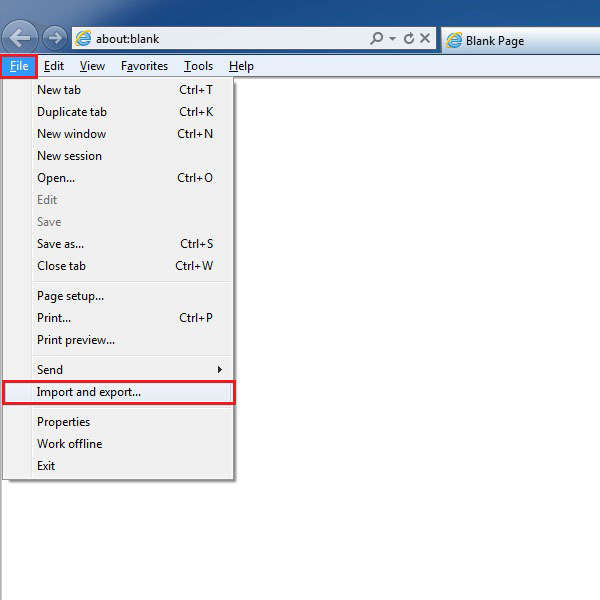 On the next window you would see the import or export settings option. 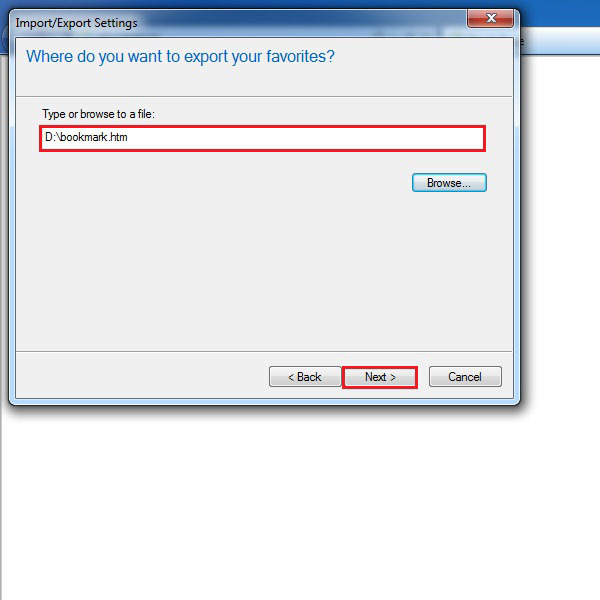 Here we select the “Export to a file” option and then click on the “Next” button. Now tick on the check boxes titled Favorities, Feeds and Cookies to select them. You can select all of them or any one of them depending on your requirement. After selecting your desired option, click on the “Next” button to proceed to the next step. On the next screen, click on the folder where you keep all your bookmarks. After selecting the folder, click on the “Next” button. Now browse and select a location to save your bookmarks. 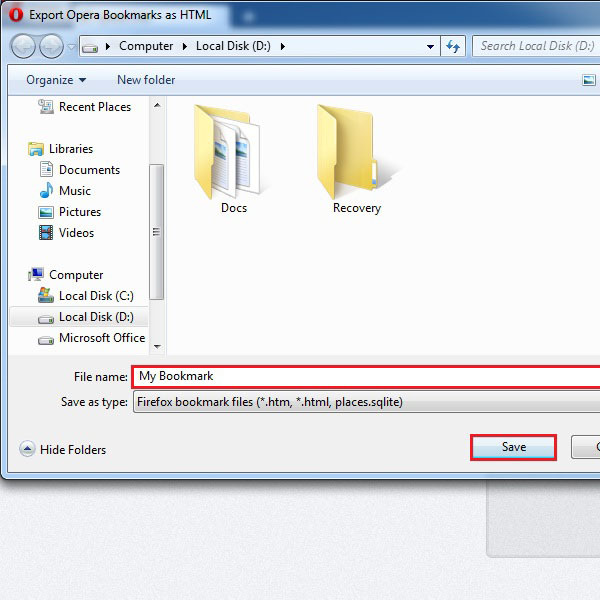 All your bookmarks would be saved in a single “.html” file format. Once selected, click on the “Next” button. Once the processing has been completed, a window will appear confirming you that all your bookmarks have been saved. Click on the “Finish” button to complete the process. Now we move on to Mozilla Firefox. Open up the browser and from the menu on the top left corner, select the “Bookmarks menu” and choose the “Show all bookmarks” option. Alternatively, you can simply press CTRL+SHIFT+B on your keyboard. A new window will pop up. 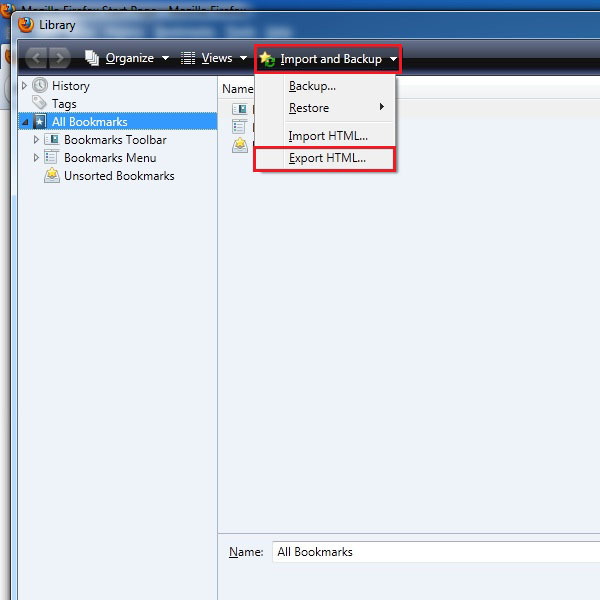 Click on “Import and Backup” at the upper middle bar and select the “Export HTML” option. 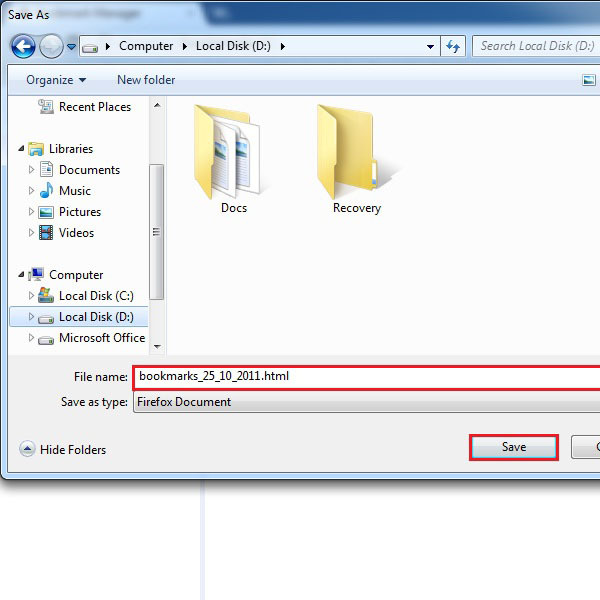 Choose a location for the backup file which you wish to save. Once done, simply click on the “Save” button. In Google Chrome you would need to click on the Tools tab, located on the top right corner. 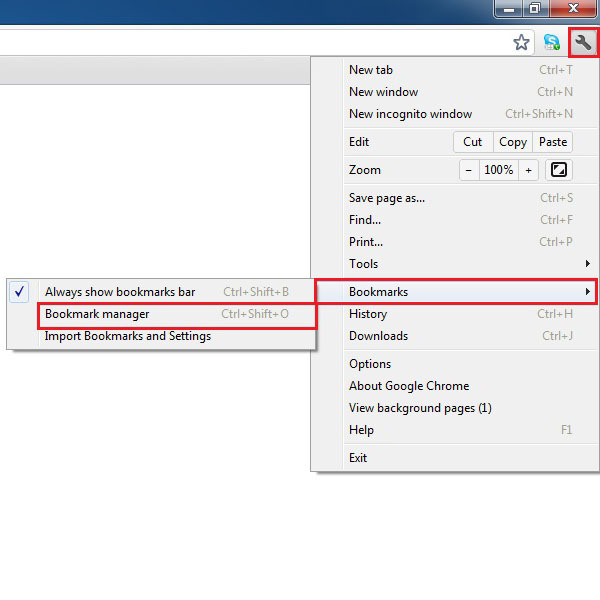 Select the “Bookmarks” tab and then click on the “Bookmarks Manager” option. Alternatively you can press CTRL+SHIFT+O on the keyboard to open up the bookmarks manager directly. 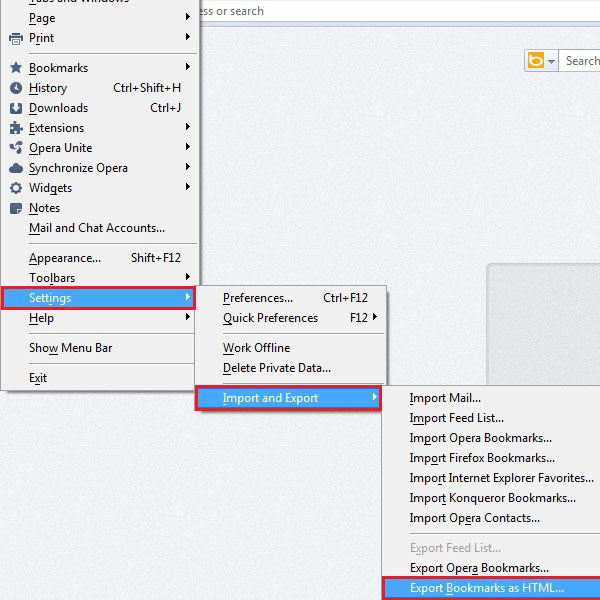 Now Click on the Organize menu in the “Bookmarks manager” window and select the “Export Bookmarks” option. Select the destination where you want to save your bookmarks and click on the “Save” button. In Opera, you have to click on the menu button located at the top left corner of the screen. 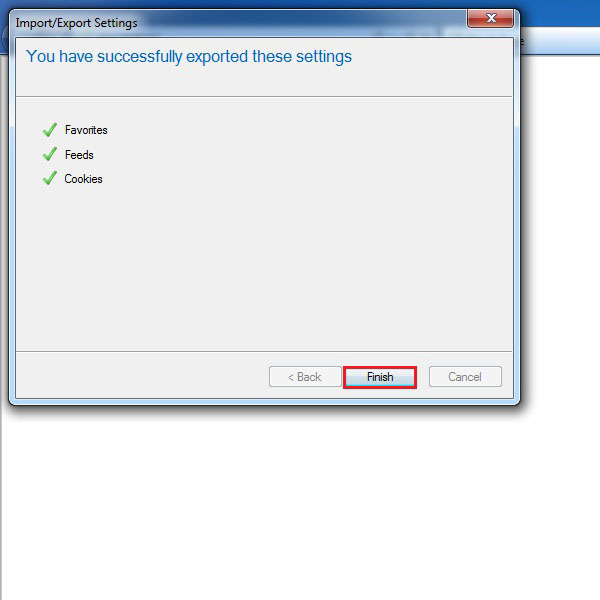 Now select “Settings” and move on to “Import and Export”. 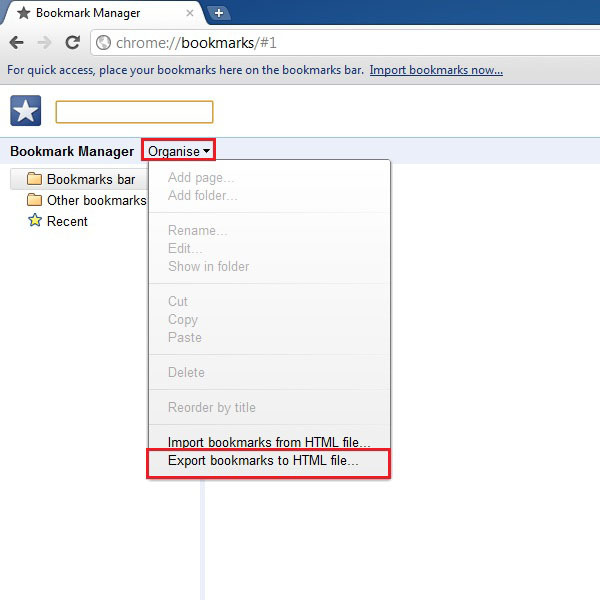 Now click on the “Export Bookmarks as HTML” option. Now select the location to save your bookmarks. Once done, click on the “Save” button.